The concept of digital citizenship – equal participation in a democratic society through digital media – and the corresponding need for digital and media literacy in communities have attracted increased attention thanks to reports such as the FCC’s National Broadband Plan. In support of these ideals, this and similar documents call for the launch of a national Digital Literacy Corps and for increased capacity building of community-based organizations that deliver digital literacy education. Through the work of its Digital Arts Service Corps members, the Transmission Project is answering the FCC’s call by building the capacity of organizations that provide digital literacy education. The media literacy and production programs run by these community-based organizations inspire people of all ages and of different racial, cultural, and economic backgrounds to create media that represent their perspectives while addressing issues important to their communities. Even the young participants of these programs are making a difference to their communities’ media landscapes today. Messages in Motion is a project of the Termite TV collective in Philadelphia that puts the tools and skills of video production into the hands of community members who make short “digital postcards” about issues important to them. The videos participants make are then linked to each other based on common themes. Because participants’ creations are both person- and site-specific, the project contributes to a sense of social topography: people are mutually joined by their interest in common issues facing their communities. Even the very young produce films. Participants’ perspectives are unabashedly personal and biased; they do not speak in the detached language of journalism. But by taking part in a dialogue, even these young people can contribute to a sense of community and the exercise of civic life. These partnerships would support the communities hit hardest by poverty. Participants would be eligible to receive discounted technology products, reduced-priced service offerings, basic digital literacy training and ongoing support. In addition, these partnerships would offer customized training, applications and tools. December 13th, 2010 heralded one of the first of such partnerships. Common Sense Media announced in a press release that it would be partnering with Verizon on a digital literacy campaign. The nonprofit will share its “digital literacy and citizenship” curriculum with the telecommunications giant’s Thinkfinity website, and Verizon’s parentalcontrolcenter.com will host weekly Common Sense Media blogs and video tips. Given the effectiveness of community-based media initiatives, why would a non-profit organization that, according to its website, believes in the principles of “free and independent media,” “media sanity, not censorship,” and “a diversity of programming and media ownership” choose to ally itself with Verizon, a company that has instituted anti-consumer practices, supported unsound and unreliable net neutrality rules, and launched powerfully misleading ad campaigns? What can we expect to develop out of this partnership? What Does Common Sense Tell Us? A quick glance at the curricula that this partnership will promote demonstrates just how divorced Verizon and Common Sense Media’s use of digital literacy concepts is from the actual community work and educational reform that digital literacy and citizenship entail. Common Sense Media’s curricula comprise tools for parents and educators – not kids – to combat the potential hazards of Internet use among children and adolescents and to provide youth with age-appropriate media experiences. Lessons on how to monitor and control kids’ media experiences and teach them to participate “appropriately” online epitomize the organization’s fearful stance vis-à-vis media. A unit on “Connected Culture” purports to explore “the ethics of participating in and building positive online communities,” but focuses almost exclusively on the threat of cyber bullying. Pervasive fear characterizes the video that introduces the unit as positive online interactions among teenagers are twisted into instances of harassment with the help of music and editing. Given Common Sense’s paranoid perspective on media, the positive and negative aspects of online interaction can hardly receive equal treatment. Common Sense Media has allowed fear of media misuse to over-determine its understanding of digital literacy. Although questions of online etiquette and safety certainly deserve attention, the nonprofit’s fear-based stance toward Media results in an approach to digital literacy education that is not only anti-media, but also anti-child. Consequently, the measures it recommends remain prescriptive and precautionary, not reparative or transformative: filter what content your child sees, punish kids for violating the rules you establish, teach them to behave properly online. Despite Common Sense Media’s claim that it upholds digital media as a platform for community involvement, participation in community is reduced to being a polite citizen and literacy is reduced to knowing how to follow codes of conduct. Provided Common Sense Media’s protection- and consumer-based methods, its willingness to partner with Verizon seems only logical. Verizon’s Parent Control Center website sells worried parents tools for tracking children’s online behavior. (The Family Locator, Usage Controls, and Security Suite are available to Verizon customers for an additional $4.99 to $9.99/month). The anxious perspective that CSM conveys can only increase the perceived need for such tools. More importantly, Common Sense Media’s parent-focused, passive approach to media reform aids Verizon’s misappropriation of the concepts of digital literacy and digital citizenship. 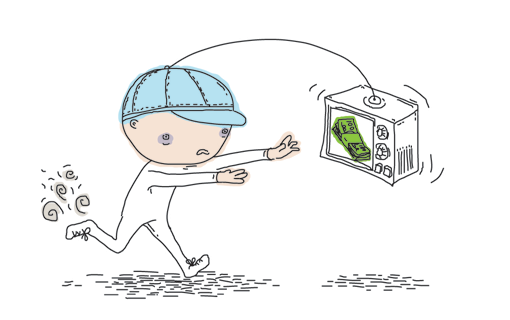 In practice, these concepts call for teaching kids about the media industry itself, including issues of media ownership, affordability, and other barriers to inclusion in online economies as well as how they can change the structure of the media industry to be more accountable to them. By championing the causes of digital literacy and citizenship without tackling Verizon’s role in maintaining barriers to adoption, the telecomm giant and its public sector partner implicate themselves in a travesty of the concepts. Digital literacy demands more than a 21st century update to the Golden Rule. But is Common Sense Media’s philosophy a legitimate insistence on age-appropriate lessons for kids who are too young to understand media bias and ownership, or does it signal ignorance of the difficult, multifaceted work that underlies teaching media literacy while underestimating what young people can do? Like Termite’s Messages in Motion, the curricula taught at organizations hosting Digital Arts Service Corps members stand in stark contrast to the lessons of Common Sense Media. Rather than offering prescriptive advice for parents, their youth programs show respect for people’s different identities and ignite the creativity of young people to share their perspectives. Ashley was a participant in MIM’s mobile media production studio. 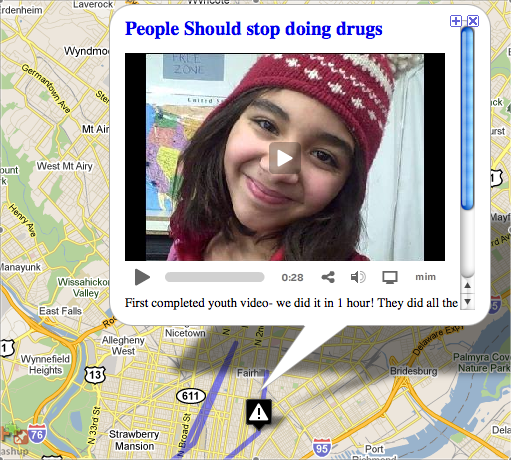 Compare her video about her neighborhood with Common Sense Media’s “Digital Creation” presentation. How can CSM claim to promote civic engagement if its proposed solutions only go so far as curtailing kids’ behavior and changing consumer habits? Messages in Motion, on the other hand, forges a connection between creativity and social justice. Another example: SacYES is an initiative of the Center for Multicultural Collaboration, which has locations in Fresno and Sacramento, California. Program participants are graduates of CMC’s after-school production courses and are paid to make videos, provide technology trainings, and create social media that assists public sector organizations. SacYES and its Fresno counterpart FresYES demonstrate that young people can both create media relevant to social issues and become leaders in their communities. The Media Literacy Project’s Digital Justice for Us campaign proves that youth can understand media ownership and bias by relating them to their everyday lives. Inner-city youth from Albuquerque record their conversations with peers from rural areas with poor broadband infrastructure. They deploy media to demonstrate how the social ramifications of any medium influence messages conveyed through it. This self-referential use of media is central to any comprehensive notion of digital literacy. Juxtaposing Common Sense Media’s online lessons with community-based approaches emphasizes the inadequacies of public-private models of digital literacy education. Insofar as digital citizenship connotes the extension of civic life to the digital realm, digital literacy efforts will necessarily include components that address how the same racial, cultural, and economic prejudices that exist offline also impact communication online. Sites like Messages in Motion’s can only serve as forums for community discussion if accessible to all. Digital literacy demands that organizations mobilize their constituencies in pursuit of media justice and universal access to information and communications technologies. The leaders in digital literacy education are doing so through the creative use of digital media itself. Unless Common Sense Media and Verizon can meet the same demands, their lessons are a false promise of digital literacy and citizenship. As is the case with CSM, organizations that claim to promote increased civic engagement across populations through digital media may not recognize what the different needs of communities are, let alone acknowledge that a variety of approaches is required. Based on Verizon’s choice of partners, it seems big companies will ally themselves with organizations whose curricula only reflect the concerns of the company’s current customers, not the growing diversity of Internet technology adopters. The impotence of this particular partnership to meet the digital literacy needs of communiteis casts doubt on the ability of future partnerships to fulfill the role laid out for them in the National Broadband Plan.